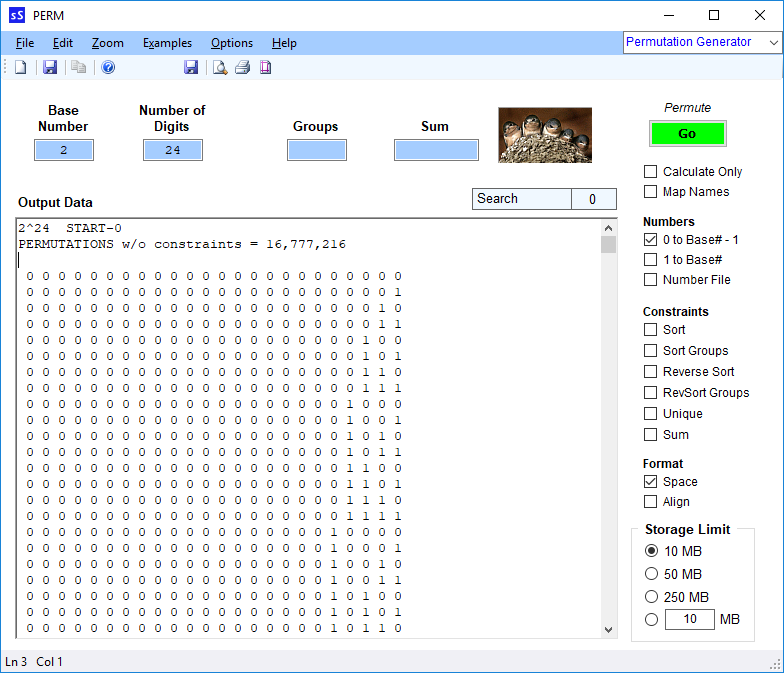 The free Permutation software calculates permutation quantities for a Base Number from 1 to 999 and a Number of Digits from 1 to 99. If enabled, permutation number/name groups are also be generated and displayed. Up to 2147 MB of data can be stored. 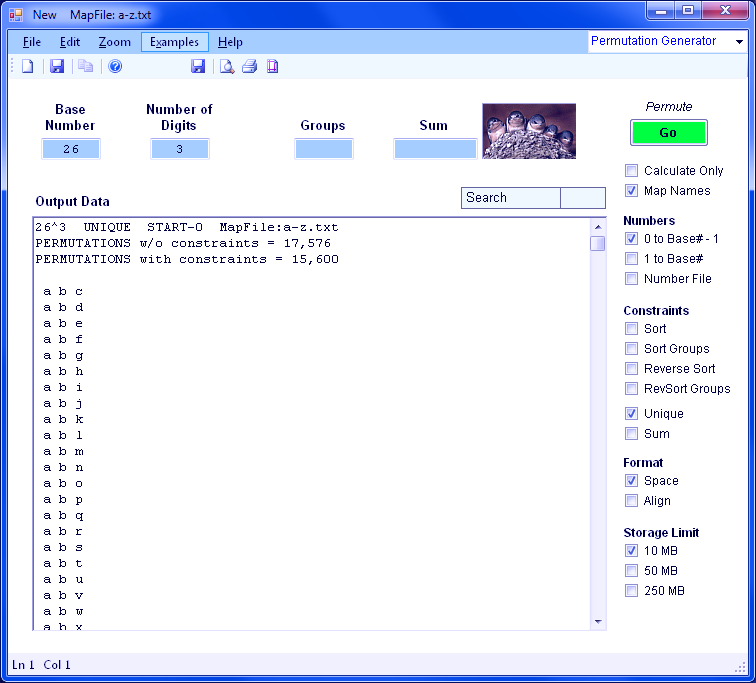 See Permutation Help for detailed documentation. This text box is used to specify the number base such as 2 (Binary), 8 (Octal) or 10 (Decimal). This text box is used to specify the number of groups within each permutation number. Map Names - Replaces numbers (1 2 3) with letters/names/symbols (a b c Dog Cat Bird @ # $) listed in a standard ASCII text file. 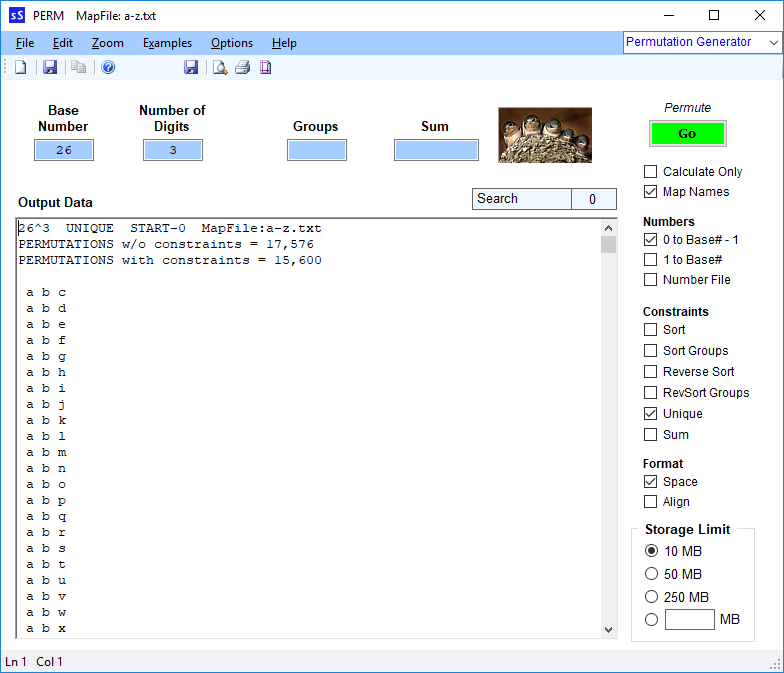 Although the Permutation tool supports Base-Numbers up to 999 and Number-of-Digits up to 99, the number of permutations generated is limited to 2147 MB of data.